These bison (a.k.a. 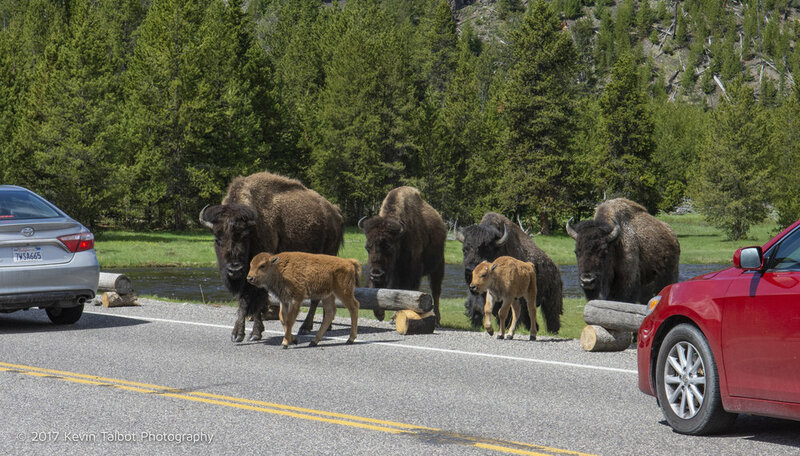 buffalo) are really amazing animals. I never really anticipated how impressive they are. We had some amazing close encounters while in our car. Check out the videos near the bottom of the this page. 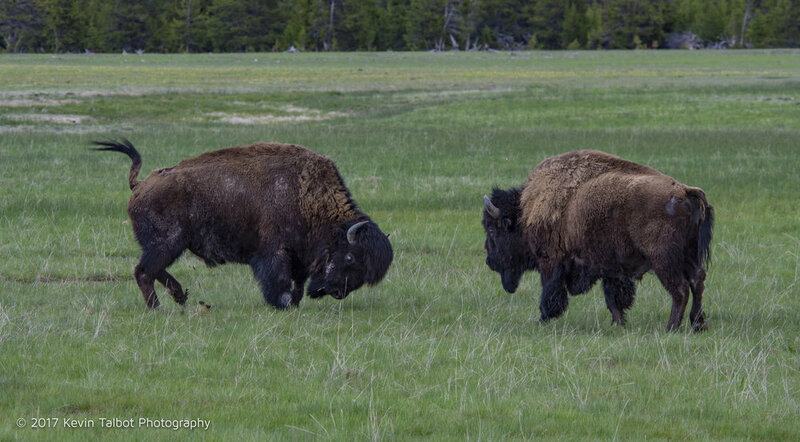 There are about 5,000 bison that live in the park today in several large herds. Many migrate out to other areas in the winters. 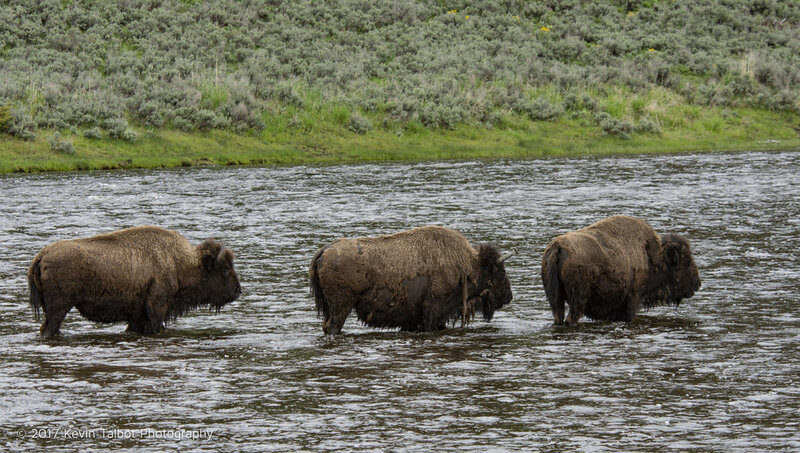 At their peak, some experts estimate there were between 25 and 60 MILLION bison. By the late 1800s they were hunted to near extinction. The babies (they call them "red dogs") look more like cows than bison and are very cute and playful.